When I was in the fifth grade my boyfriend was Michael Weiss. He was also the first Jewish kid I ever knew. His mom and dad owned a bookstore just off base. In the store they had a fish tank with only one occupant. 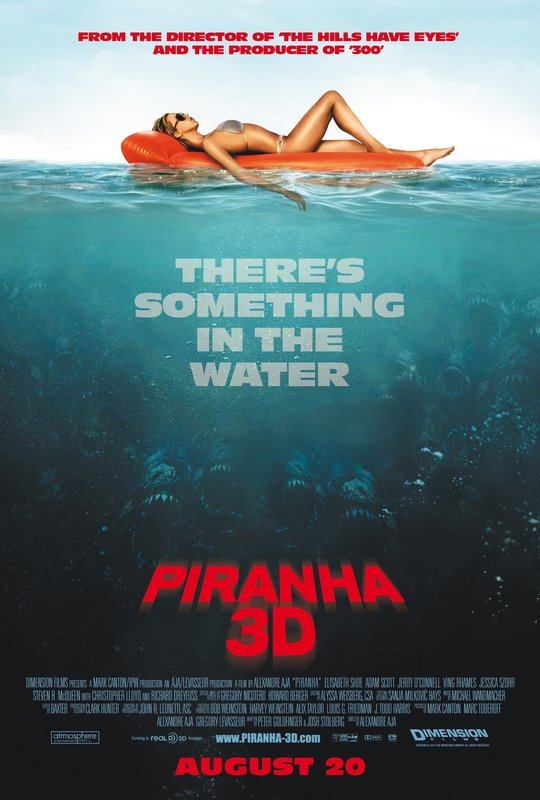 A piranha. How cool was that? It was the first and last time I was ever up close and personal with the mythic gilled beast of the Amazon. I also experienced another first with Michael. I was 11—don’t get any ideas. 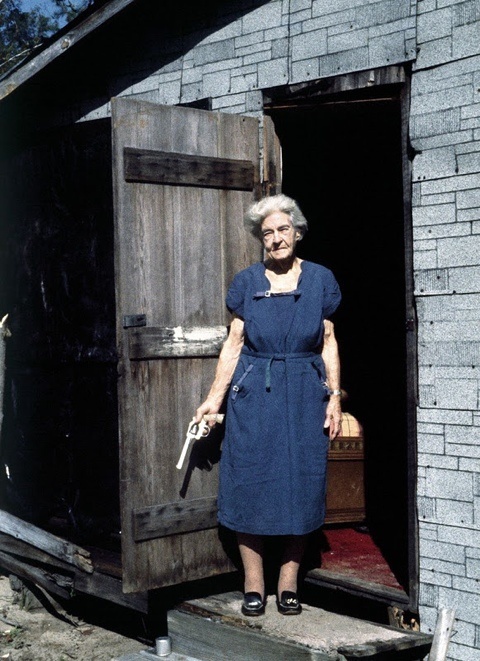 It led to a life-long passion which, throughout my life, has brought me an unknowable amount of joy. Bagels and cream cheese. I love bread. If it wouldn’t put me into an early grave, I could easily live on bread and butter. So, as you might imagine, I’m sorta fond of bagels. And what’s not to love about cream cheese? It’s the cheese in cheesecake. It makes everything it touches become creamier and a little tangy. I could, and in fact have eaten it all by itself. I love it. The Kid really does not. It could be that tangy funk or maybe it’s a texture thing, but my child’s not having it. 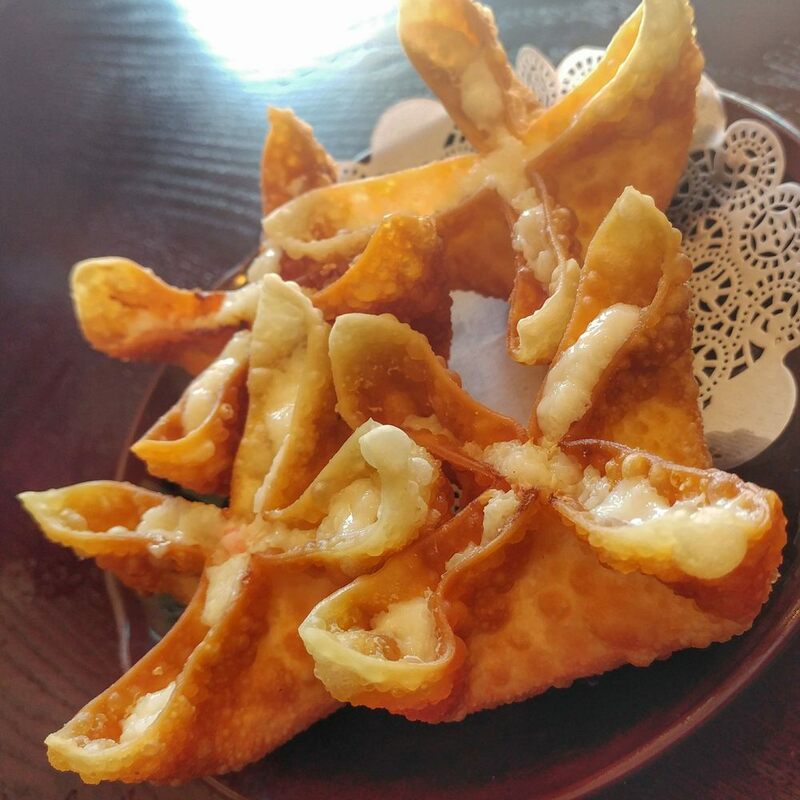 Except for crab Rangoon and the creamy filling of strawberry pizza, it does not pass The Kid’s lips. Red velvet cake is a favorite, but not with cream cheese frosting. And cream cheese frosting doesn’t really thrill me either. I don’t know why, but it is the one frosting that I wouldn’t knock over a little old lady for. Fine, Lady. Then keep your damn ganache. I’ve recently been toying with a dessert which calls for cream cheese frosting. 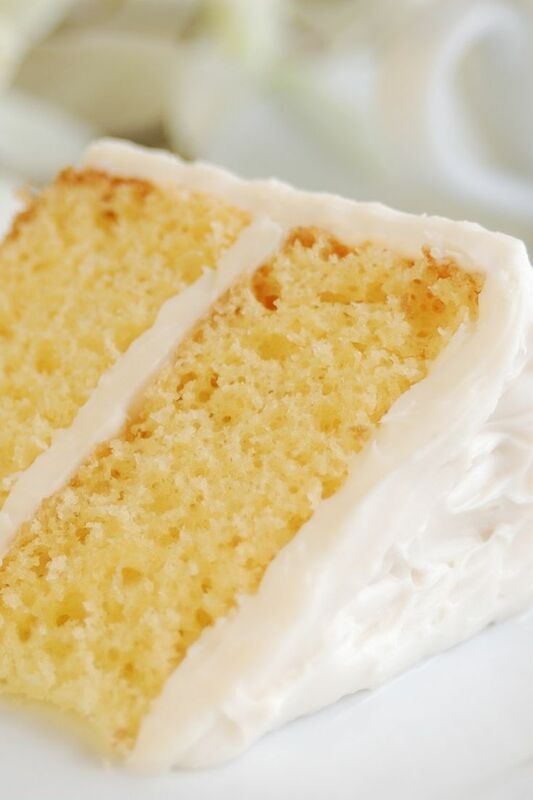 It’s the uncommon combo of lemon cake adorned with the icing. It’s likely the play between the lightness of citrus with the frosting’s richness. Everybody’s onboard for this. Even me. Even The Kid. This recipe is adapted from the website, Once Upon a Chef. It’s fresh, light and moist. 2 tablespoons fresh lemon juice Preheat the oven to 325. Grease and flour two eight or nine-inch round pans. 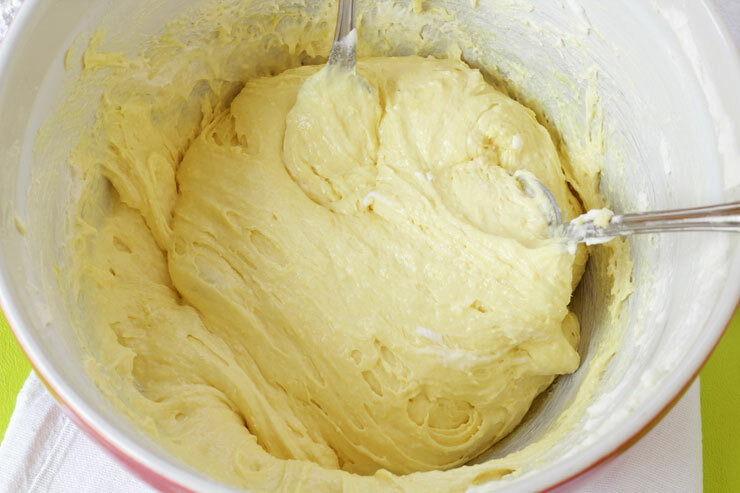 In an electric mixer, cream the butter, sugar, and vanilla until light and fluffy. Beat in the eggs one at a time, beating well after each addition. Scrape down the sides of the bowl. In another bowl, combine the buttermilk, lemon zest and lemon juice. With the mixer on low speed, beat in flour mixture and the buttermilk mixture. Alternate, beginning and ending with the flour; flour, buttermilk, flour, buttermilk, flour. Beat until well-mixed and smooth, but don’t overbeat. Divide the batter in half and spoon into the prepared pans. Smooth with spatula. Bake for 1 hour and 5 minutes, or until a toothpick comes out clean, but moist. Cool the cake in the pan for ten minutes. Turn cakes out onto cooling racks and let cool completely. When cool, frost with cream cheese frosting. Beat cream cheese, butter, and vanilla until well-mixed. Slowly add powdered sugar and beat on low until smooth and fluffy. Generously frost cake. Refrigerate until frosting’s set and then refrigerate any leftovers. This is the perfect cake for a summer evening on the front porch. 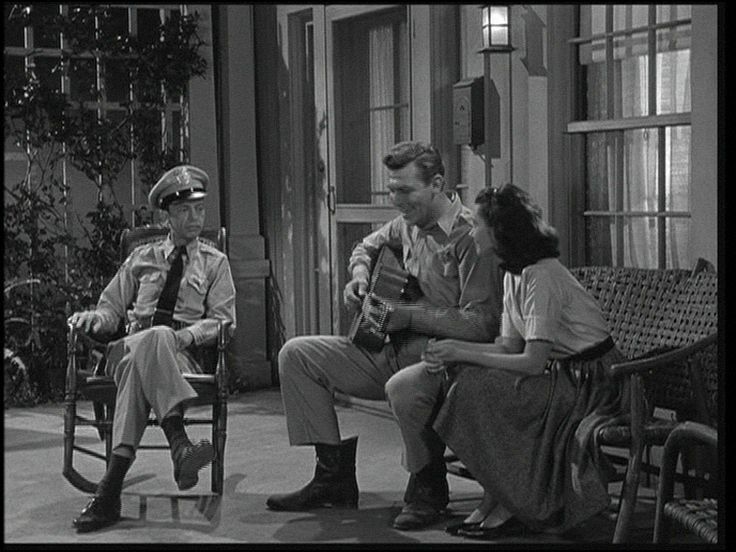 Or, if you don’t live in Mayberry in the 1950s, any place and time you like. Thanks for your time.